The Peacock at Rowsley Is this your restaurant? We felt welcomed by our arrival. As always, the food was exceptional, and the ambience was just perfect, the right blend of formal and friendly, we loved it! We had an absolutely delicious meal, chosen from a wide-ranging menu to suit all tastes. 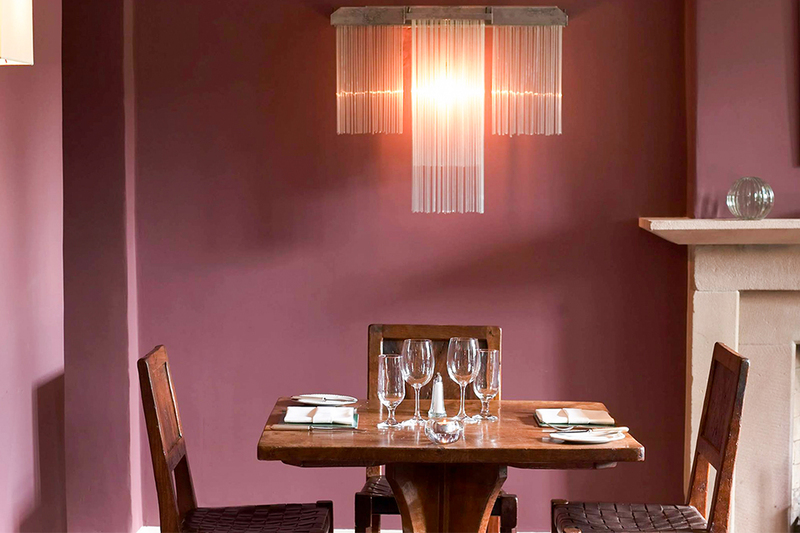 The dining room was comfortable yet sufficiently elegant to make the occasion both special and memorable. The service also was excellent, unobtrusive yet friendly. I cannot praise our overall experience highly enough. Excellent meal as usual at the Peacock. Divine chocolate dessert. The meal was really special, and the ambience and service couldn't have been better. It was a truly exceptional birthday treat. Excellent Sunday lunch. Rarest of beef and delicious vegetables. A real joy to come here with the Mouseman tables and chairs in daily use. Wonderful location, attentive service and delicious food. Not just a great meal, but a great experience. Thank you. Excellent restaurant, fantastic staff. All very knowledgable about the food and wine they serve. We will be back. Great ambience and service but a rather limited menu. Starters and puddings were delicious but somewhat disappointed by the rather greasy fish and chips I was served. Food and service excellent, not cheap. Only one thing disappointing; battered fish was tasty, although I felt that there was too much tempura style batter coating on the fish, in fact, it dominated. There were mouthfuls of batter without fish. I left quite a large proportion of the coating, also noticed that my friend had done same? Everything else was perfect. The mushroom soup was exceptional. Perfect for the dreary weather outside. We always enjoy our time at The Peacock. The Peacock is very welcoming, a roaring fire always helps. We were invited to sit in the bar with a drink and an opportunity to peruse the menu. My partner described ‘the best gin and tonic’ as exactly that! Excellent food, drinks a tad on the pricey side. Every dish looked and tasted superb. Not a single negative to be found. Fabulous venue. Food wonderful. Would definitely recommend! An excellent meal. Superb staff and service. A very friendly place to spend an afternoon. Could not fault this venue. The Peacock at Rowsley is a nice setting, olde world charm and the food was excellent. The lighter lunch menu was just right for a mid day meal. Staff very courteous and most helpful. Would highly recommend! Thoroughly enjoyed the meal at Barnacles, if a little on the pricey side. The service was excellent! We had a lovely time at a first class restaurant! Food was fantastic at The Peacock at Rowsley, service was impeccable, just could of done with some background music. Booked day before and advised one person gluten free. The toast for the pate was rock hard and could not break it. Asked for a gluten free roll instead (had a nice warm one when first brought out the bread) asked not to heat it so could eat with pate. My starter was taken away...could just have brought out a roll as asked. My partner had finished his starter by the time I got mine back, and the roll was actually steaming !.. so after sitting a further 5 mins waiting for it to cool, the pate which was a nice texture to start with, just turned into a warm goo. Not a great start to my anniversary lunch!!! When my main course of chicken arrived, I know I asked for the lighter portion but this really was and did not taste that brilliant either. Let's get to the sweet. I was advised that my choice was the trio of ice cream as it was the gluten free. Oh and sheer joy, as I was given 4 !! The best I can say is that my drink of bianco & lemonade was as it should be. My husband spoke to the manager before we left and was told that it should not have been like that and was sorry. We shall not be returning needless to say. A very dissapointed couple. My wife and I thoroughly enjoyed our meal. The welcome and the service was excellent as was the food, will definitely return to the Peacock for another meal. Faultless meal and service at the Peacock at Rowsley, in a lovely setting. For fine dining, it's refreshingly unpretentious and good value for money, too. The waiter was most helpful in suggesting a wine I didn't know - a Chilean red - Gran Hacienda (Carmenere). Family outing celebrating myself and son in laws birthday. Were given birthday cards by the staff. A lovely touch. We had two children with us a 4 year old and a 2 year old. They were treated so well. Could not fault them. Everything was perfect. Truly fantastic food at The Peacock at Rowsley - I am unclear why this place has not been awarded a Michelin star! Excellent service and lovely olde worlde charm! A gem of a restaurant nestled away in one of the most beautiful locations in England! The lunch menu was simple but perfectly executed and the service was the epitome of professionalism. Will consider staying in one of the rooms next time, in order to experience more of the wine list. Not the first or last time I will be going to the Peacock. The food is exquisite and never fails to impress. 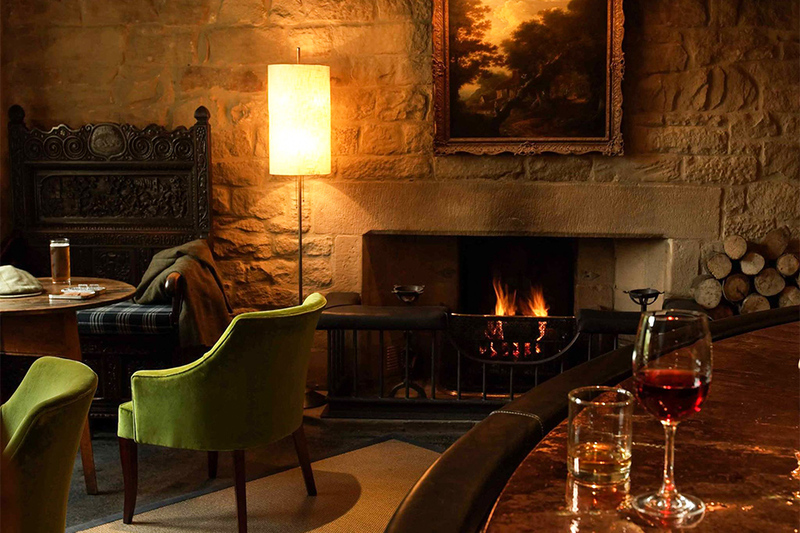 The restaurant and hotel are beautifully decorated and the bar is a favourite of mine, so peaceful particularly by the fire enjoying a coffee, see you soon! 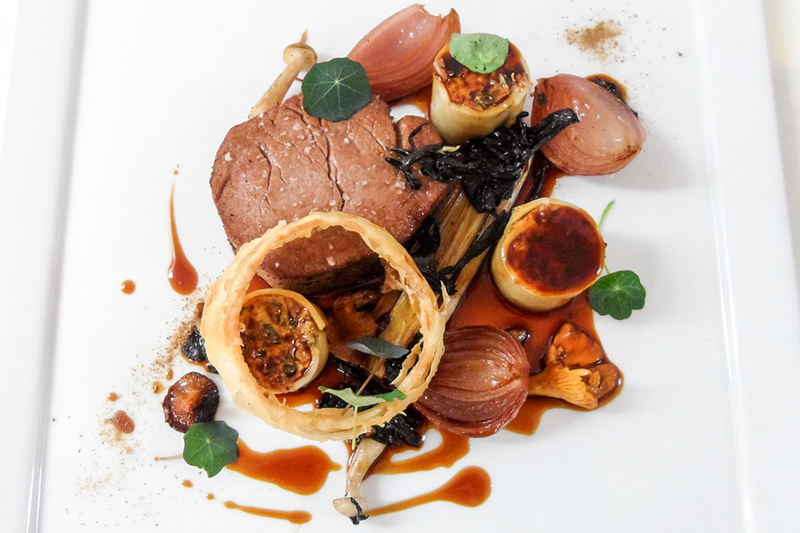 Housed within a luxurious boutique hotel in the midst of the Peak District, The Peacock at Rowsley is an award winning restaurant that provides guests with a memorable dining experience. The venue sits on the A6 between Bakewell and Matlock and is not easily missed, the beautiful old building stands proudly on the corner of the A6 and Church Lane and lures passers-by, locals and visitors in. Nestled within a period building dating back to 1652, the hotel has been lovingly restored and decorated with a mix of fine, contemporary furnishings and period antiques. 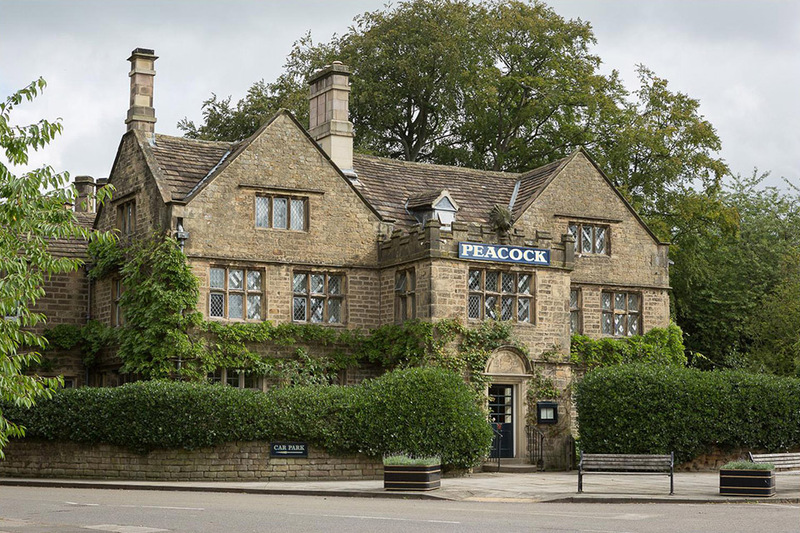 The Peacock offers guests a panoramic glimpse of Derbyshire in one visit by encompassing history, local produce and beautiful surroundings in one place. With beautiful lounge areas and friendly yet professional hosts, you will be pampered and well-looked after no matter what time of day you visit. 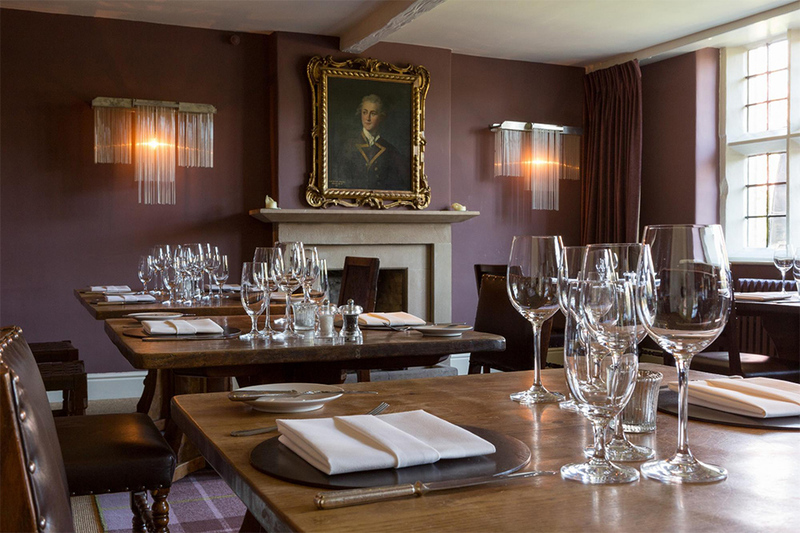 An open fireplace and copper-topped bar provide a cosy and welcoming atmosphere for guests to enjoy a pre-meal drink in before being taken to one of the beautiful dining rooms. 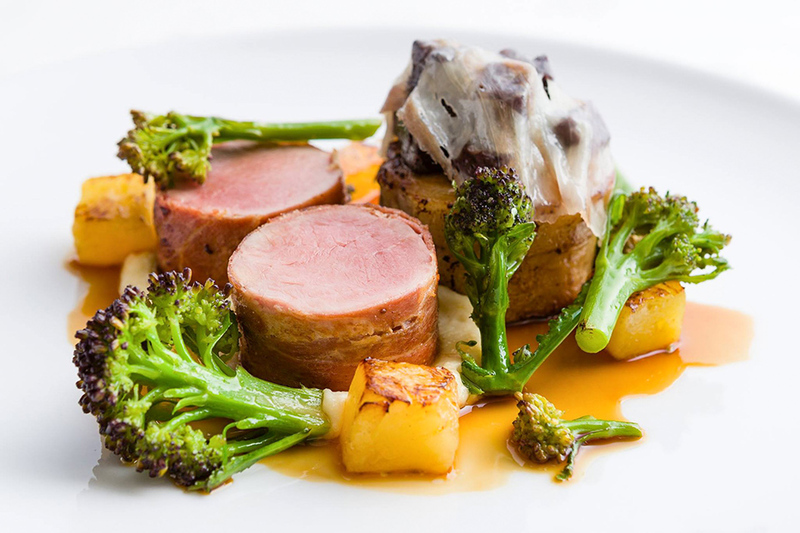 Head Chef Dan Smith, who has worked with Tom Aikens in London before returning to Derbyshire, has prepared a tantalising menu that showcases local produce. 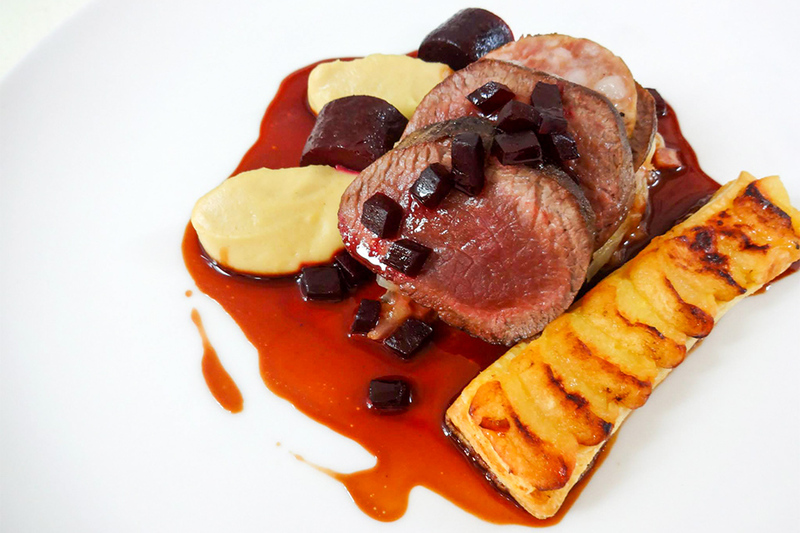 His cuisine has received 3 AA Rosettes as well as an entry in the Good Food Guide. Every dish is expertly executed and with creations such as Handpicked crab served with beetroot cured salmon, dill and horseradish to start with and then the monkfish, potato terrine served with asparagus, sea kale, oyster and seaweed sauce for the main dish, gracing the a la carte menu you are in for a truly special and memorable dining experience. 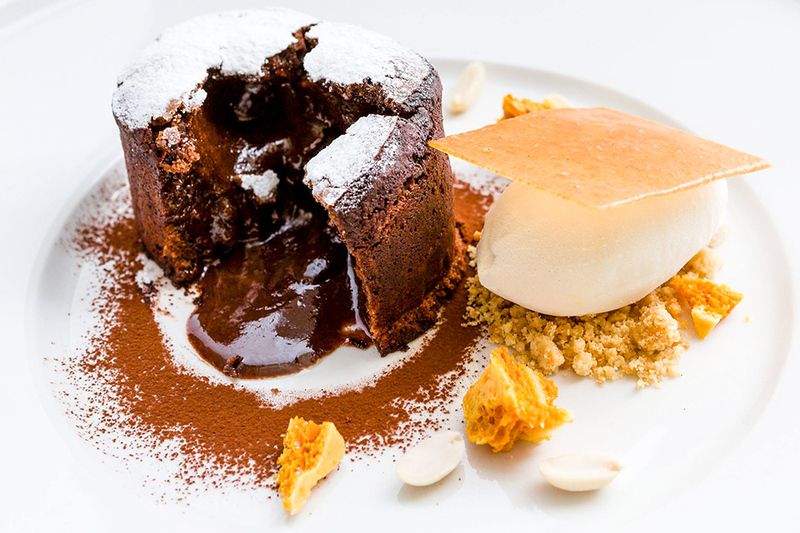 As well as a formal evening menu, there is also a lunch, bar, vegetarian and Sunday lunch menu available the showcases the talent of Dan and his team of passionate and extremely talented chefs. With fly-fishing on tap, The Peacock at Rowsley is a truly unique venue. 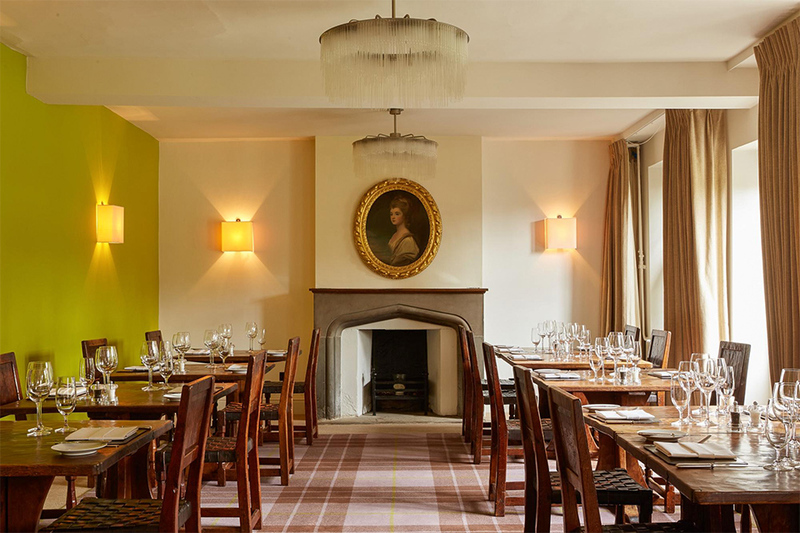 Steeped in history with personal touches and exquisite dining and hotel facilities, this Peak District restaurant should be sampled by everyone. 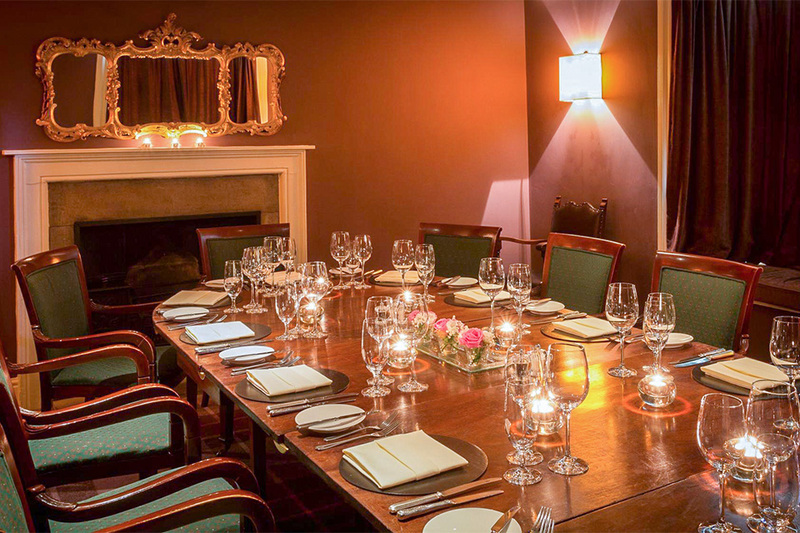 With a variety of different rooms which are available for private hire, The Peacock is capable of catering for any size party. Make a memory at The Peacock. Price listed is for a regular size starter & dessert, half size main course Dishes can be modified upon request; however, we cannot guarantee that any items are completely allergen free due to being in a kitchen that contains ingredients with allergens.